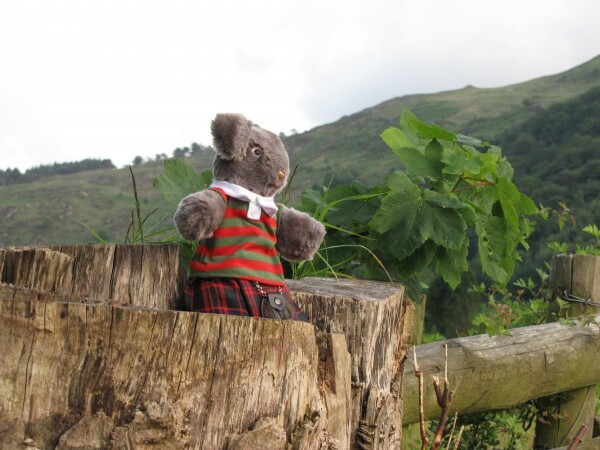 This is my traveling companion, Errol in his striped shirt and kilt. This was taken in Wales in 2010. And these are proof that I will photograph anything! But they are striped. They are, indeed, striped - and I rather like those two pictures. Errol, though, looks very, very smart! 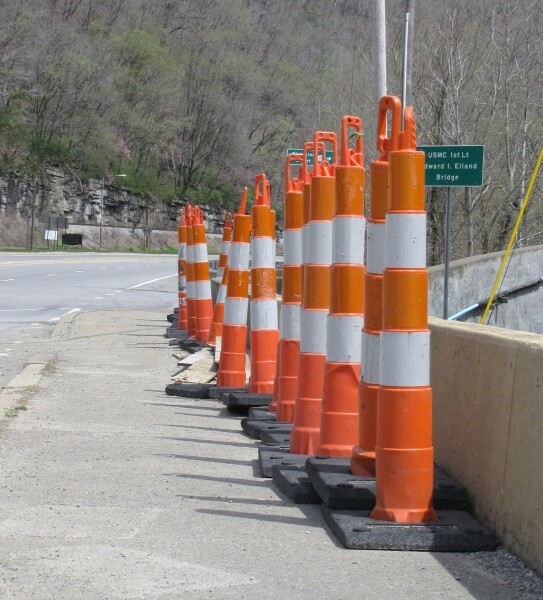 Those road work cones that aren't really cone-like just demanded to be photographed. I like things that are all lined up. I've got rows of beach chairs, bikes on a rack, and tons of things in a line. 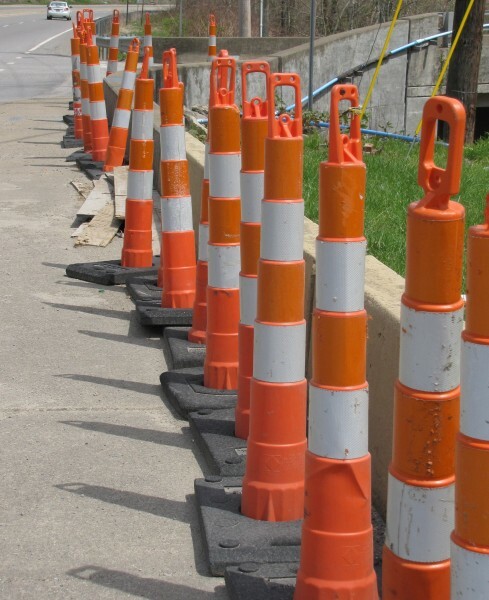 These striped pole things are the latest. I took those about two months ago. And he waves back at you. He has always liked you.